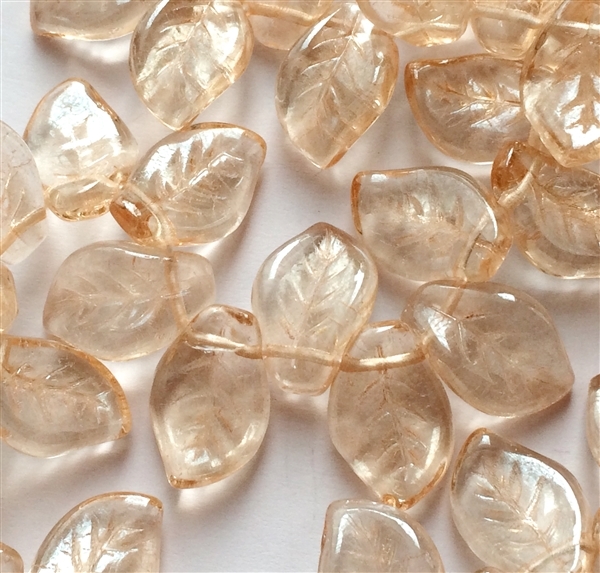 Champagne leaf beads, pressed glass, side drilled, champagne color, measuring 9 x 14mm. 50 piece strands. 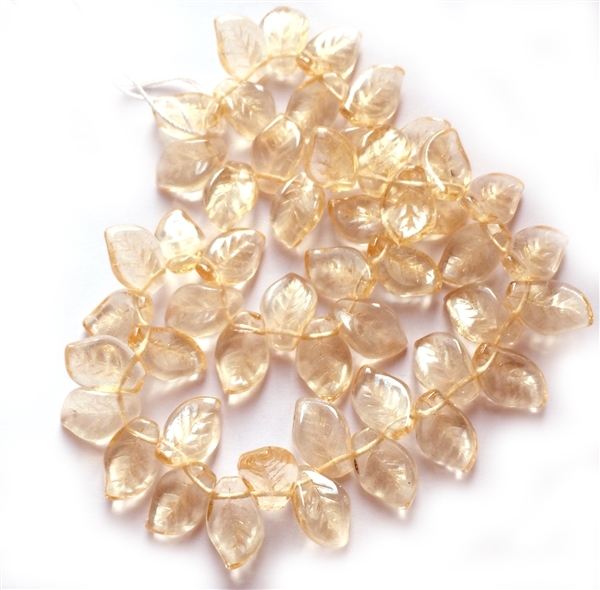 Beautiful champagne glass leafs. Sold by package.